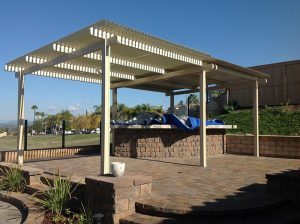 The “smart” patio cover, manufactured by Solara, lets you enjoy the best of all worlds, all seasons. 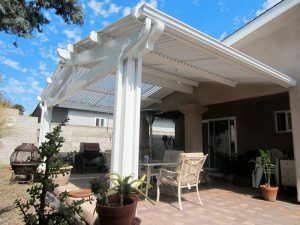 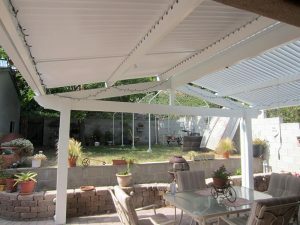 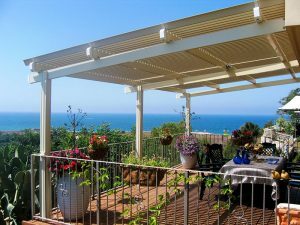 The patio cover is dynamic and can be transformed according to weather conditions and your demands. 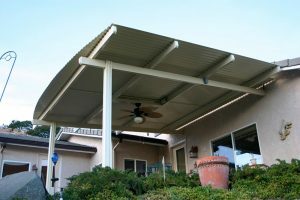 This means that you are in charge of the amount of light and shade you wish to receive, including protection from rain and humidity, while not giving up a refreshing summer breeze. 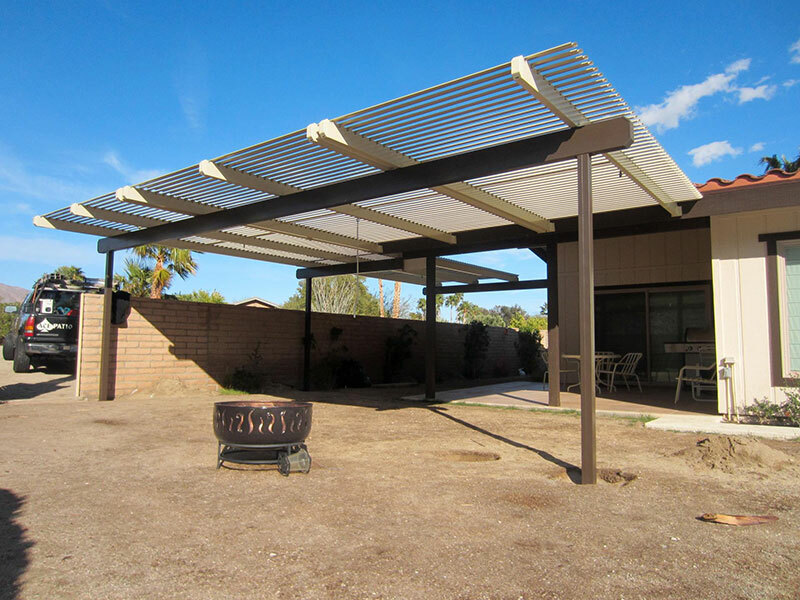 Solara’s patio cover is made entirely of recycled aluminum and therefore requires no maintenance at all! 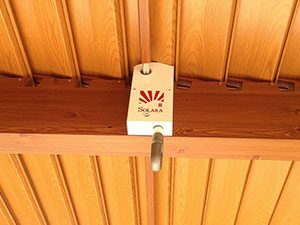 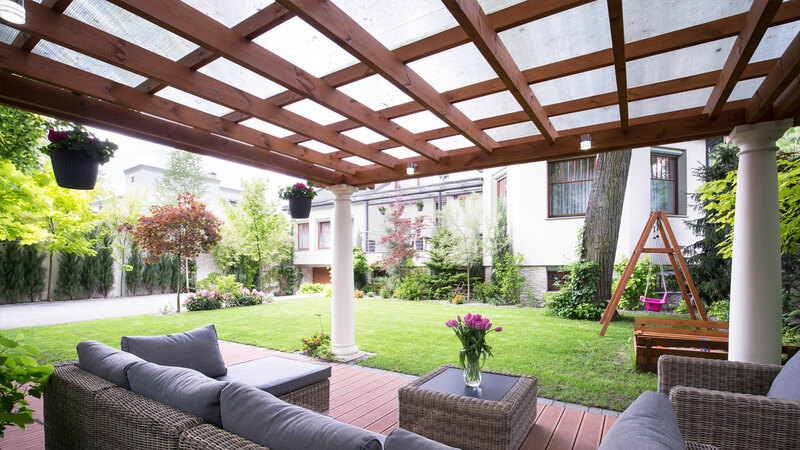 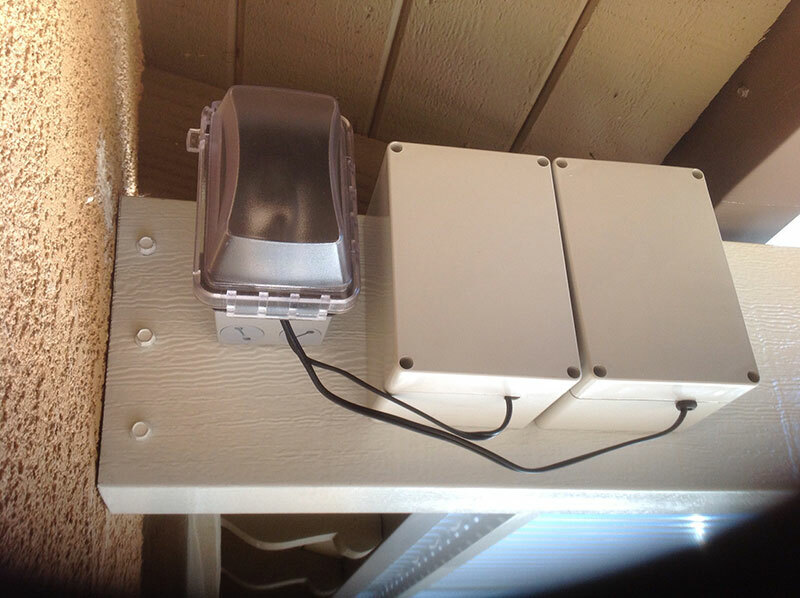 Solara’s “smart” patio cover enables you to significantly increase your living space and quality of life during the warm summer days as well as during the colder and rainy winter season. 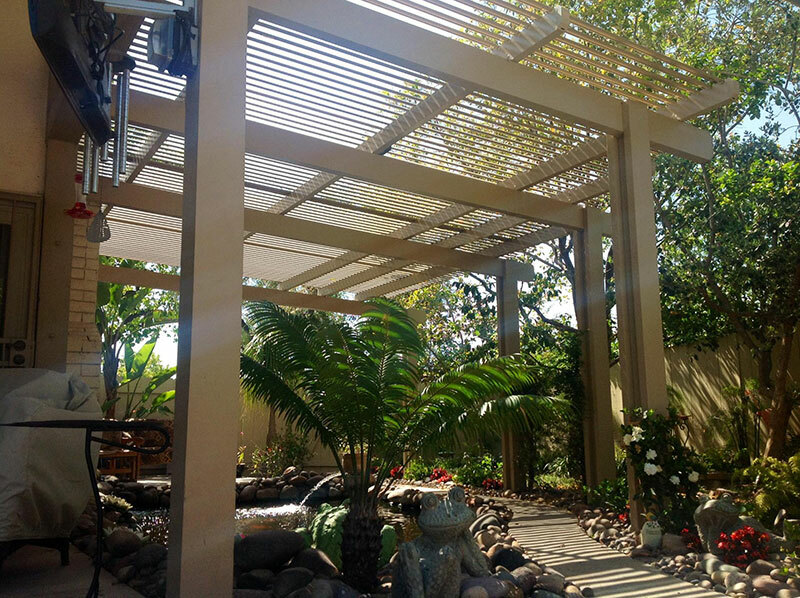 Shade when you want it or direct natural sunlight on those cold winter days. Rain protection, keeping you and everything under the cover dry! 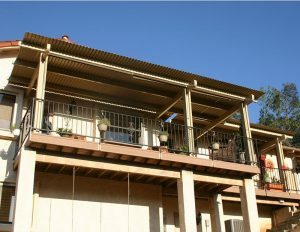 Look again! 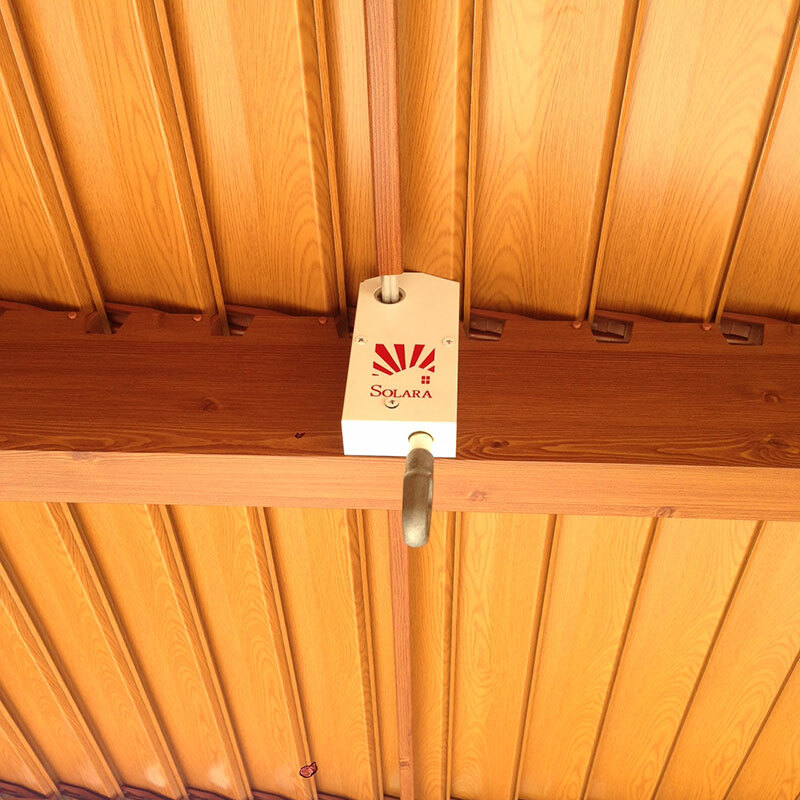 Yes, it's 100% aluminum with a real cedar wood grain finish. 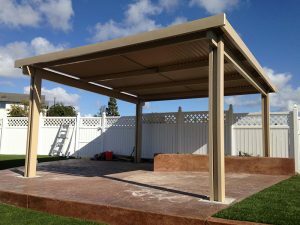 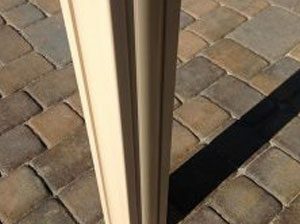 Solara is the only patio cover on the market which offers a cedar wood grain finish. 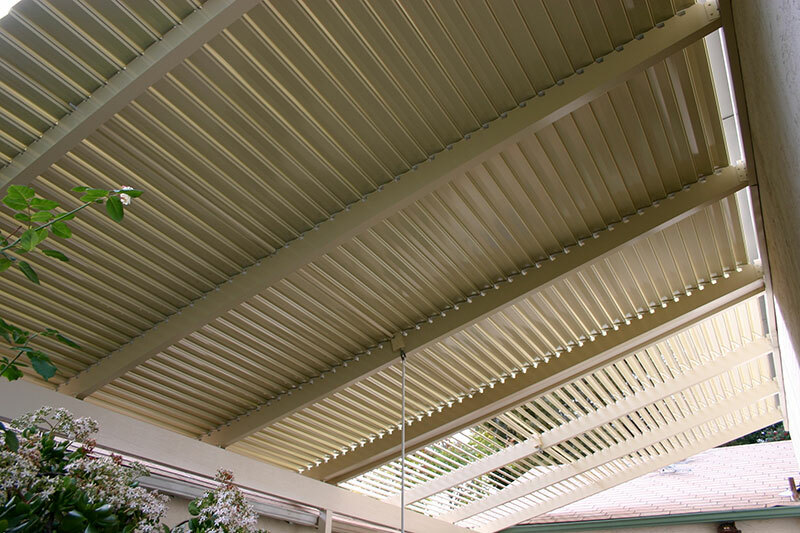 Available in our durable roll-formed or heavy duty extruded louvers, including rafters, beams and posts! 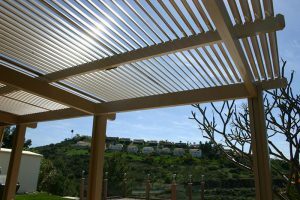 Our durable roll-formed louver is the lightest weight cover on the market and has been installed on thousands of covers around the world. 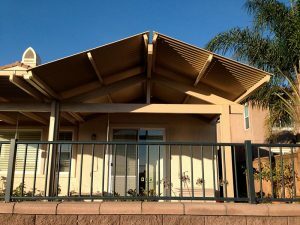 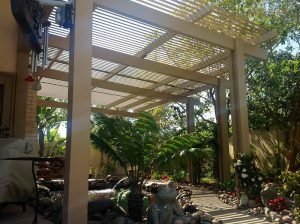 Not only is our roll-formed the most economically priced adjustable louvered patio cover on the market, it has been on the market for 20 years, fitting an array of designs and shapes. 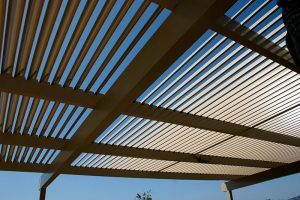 Our extruded louvers have three times the thickness of our roll-formed and are the most competitively priced extruded louver on the market. 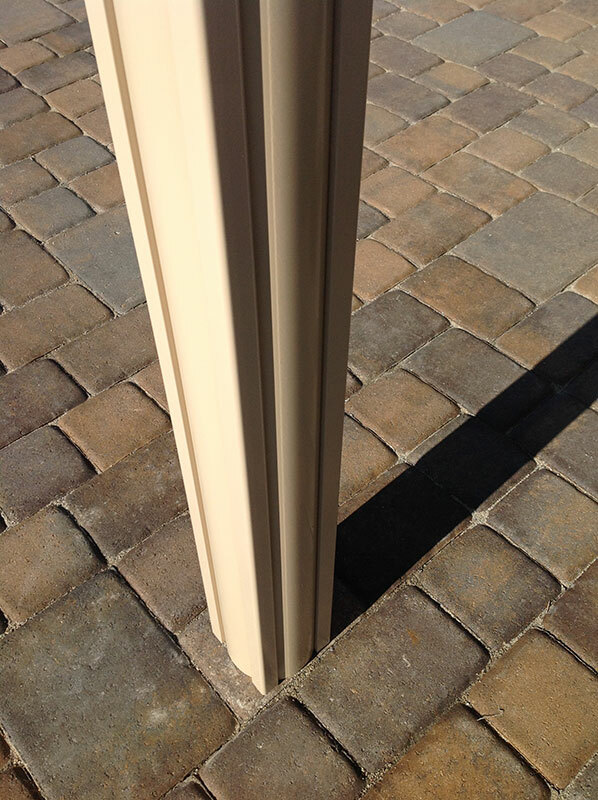 Solara extruded louvers come standard with a UV resistant seal, specially designed to offer additional rain resistance and accommodate even heavier snow loads. 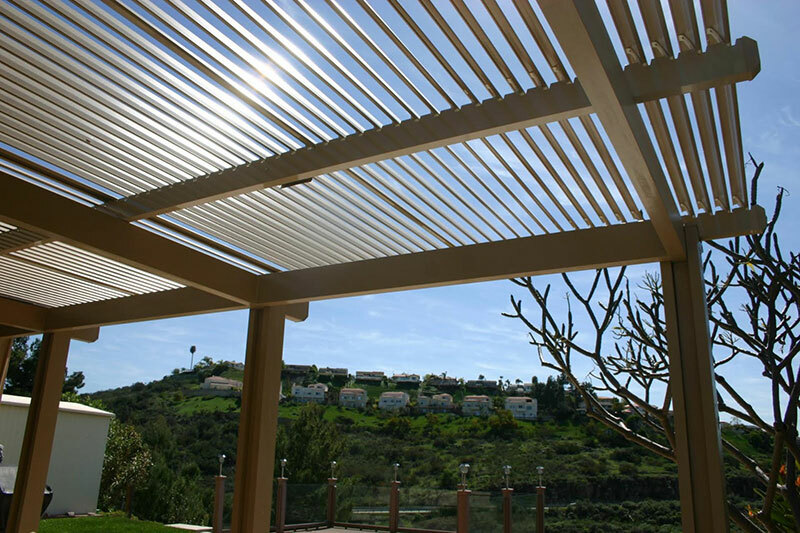 The Solara Louvers are made from roll formed aluminum. 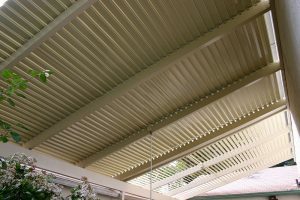 Extruded louver upgrade available. 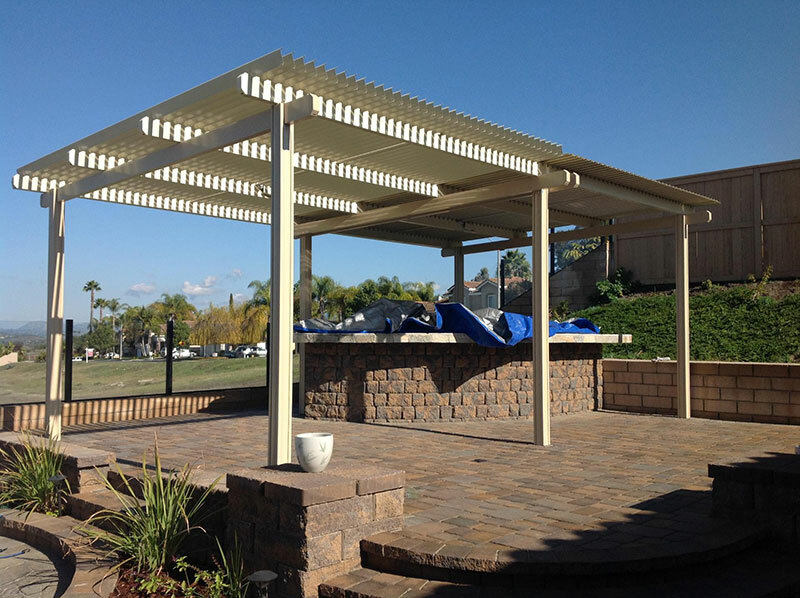 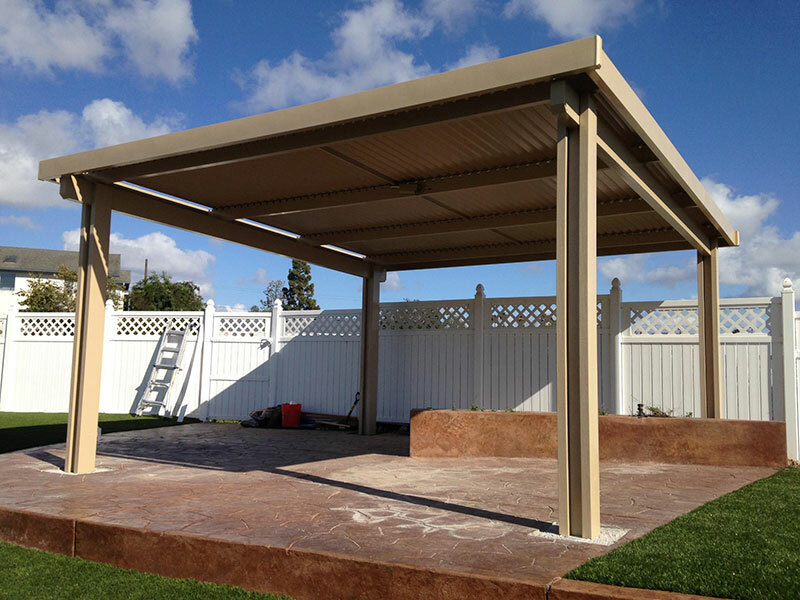 You can design your patio cover on almost any kind of structure such as aluminum, metal, concrete, etc. 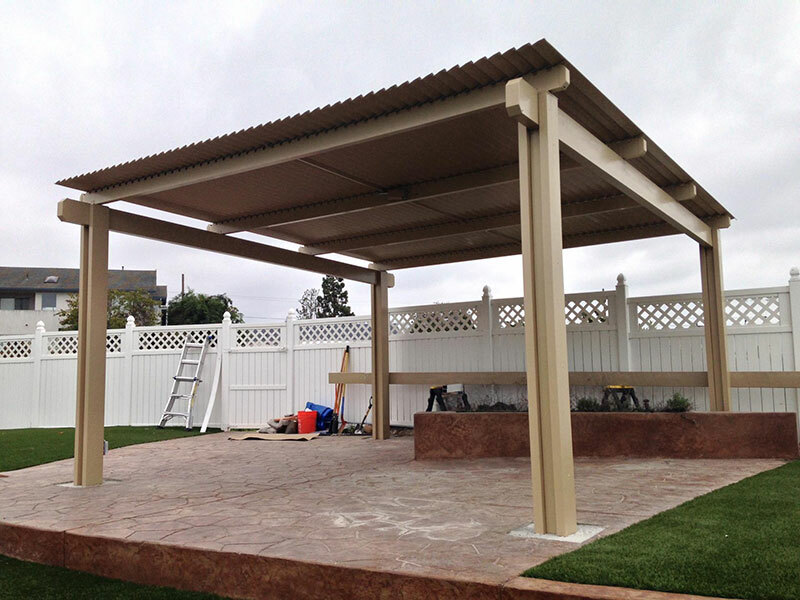 You can request a 3D design layout to help visualize better your new cover. Once the job is approved, the $50 charge for this service will be discounted off your total.